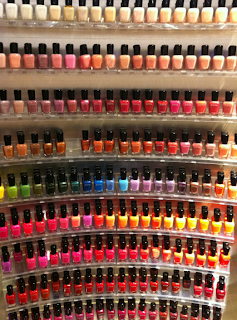 kandeej.com: The Most Popular Car Colors for Your Nails! I've always loved white (no pearl, just plain white), black, and silver! They make any manicured, polished nails, have a little edge, a little modern edge, and can't help but feel a little rock n' rolly and tough. 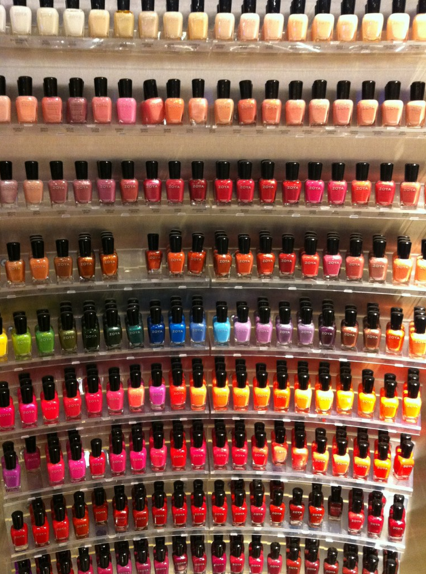 how fun would it be to have this whole wall too choose from!?!? 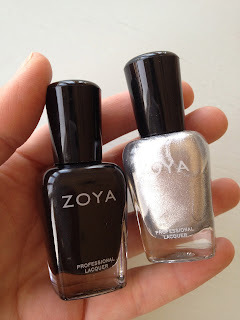 I already own the Zoya (white nail polish) in Purity, but I bought the RAVEN, which is black with a slight metallic look and TRIXIE, which is an awesome, tin, metallic silver! And for the second week in a row they were sold out of the Anchor Base Coat, which I have been really wanting to try because everyone has raved about it. So I just bought the Get Even base coat! And know hopefully with my basecoat, my nails will be as tough as a Hummer, glossy as car paint, sleek as a sports car, as shiny as chrome, and cool as a hot rod! 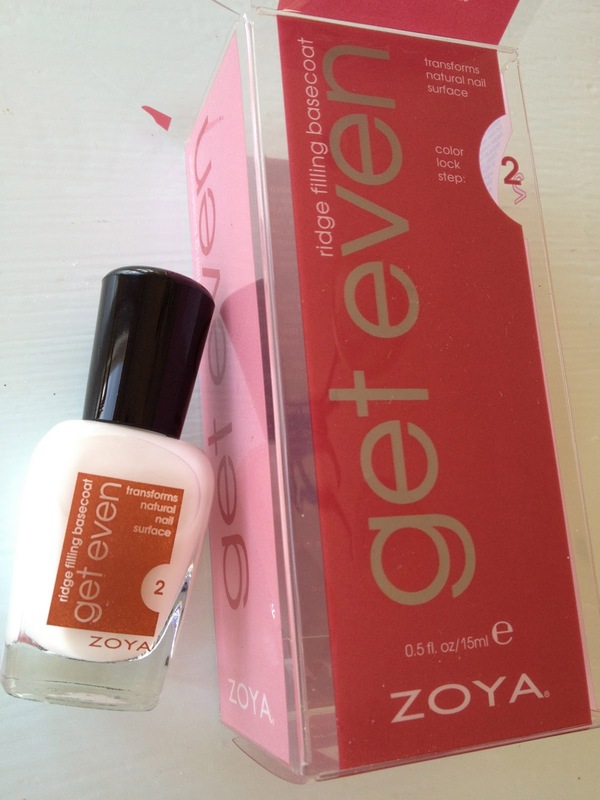 Could you please do a review of the new cosmetic lines at target, such as Pixi, SK, NP and/or Boots No 7? Ive been searching for reviews but no one has done any. Pretty pretty please with cherries on top of a strawberry cupcake :) ...and sprinkles too! Hey kandee ..I just want you to try bumble and bumble styling creame..its a product I can't live without! Its for root lifting, you wana make sure after you wash your hair its the first product you put on your roots. When you first blow dry I might feel a little hard to work with but its amazing!!! !